"One person with a belief is a social power equal to 99 who have only interests." "unknown"
CSI Launches Social Enterprise Funding Program! 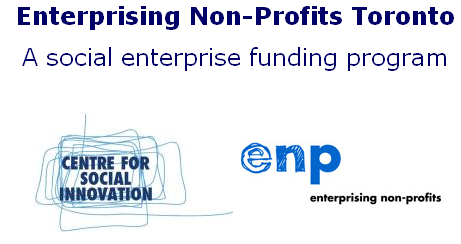 A social enterprise funding program The Centre for Social Innovation has officially announced the launch of Enterprising Non-Profits Toronto (ENP-TO) - a program to spark and support social enterprise in the GTA! ENP-TO provides grants of up to $10,000 to nonprofit and charitable organizations interested in starting or developing a revenue-generating initiative. To join their mailing list for further announcements, including the call for proposals, visit www.socialinnovation.ca/enp. Copyright © 2010 CSEF. All rights reserved.